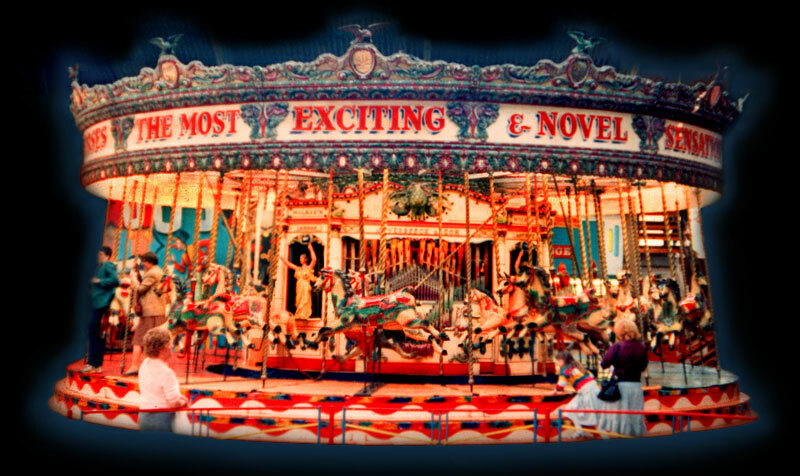 The Thomas Walker 3-abreast steam driven gallopers (carousel) is currently being restored to full working glory. Built in Tewksbury in 1911, this is a truly magnificent set of gallopers, complete with its with original, highly ornate carved wooden horses by Andersons, a fantastic Verbeek 89 Key organ and a very rare Walker steam centre engine. Originally bought by showman Joseph Smith and family, this Thomas Walker set was famously then owned by the Bartlett family and then in turn by the Chipperfields. 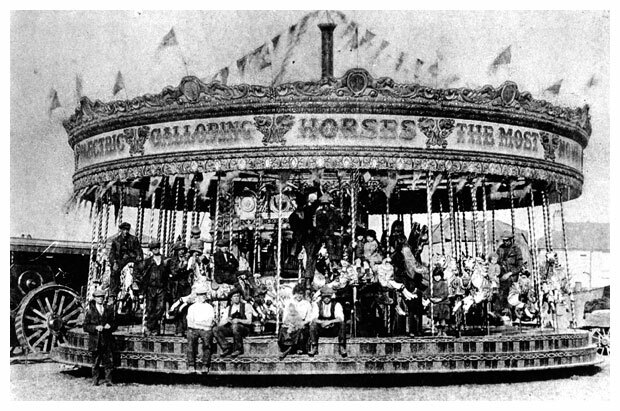 This ride is remarkable (if not unique) for the superb quality of its entirely original wooden carve-work – all of which was by Andersons of Bristol, who were one of the best fairground carvers in the world. Indeed, these old and faded photos hardly do the ride justice! Most of the work to this exceptionally ornate set is now finished and, pending painting, we hope to soon have the gallopers fully built up in our enclosed barn, surrounded by the museums’ collection of other fairground equipment and with showmans engines, living vans and dance hall organs alongside.